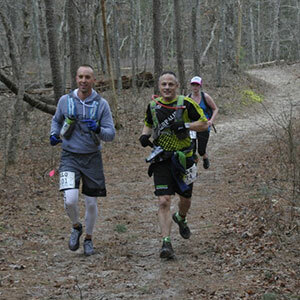 Ultra-marathoners ran a 50K, 34 mile race, and then got IV nutrient infusions at Zabrecky Institute afterwards. Extraordinary results achieved with these infusions. 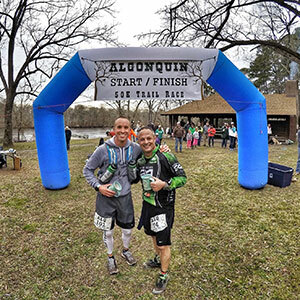 Nick, a 48-yr-old chiropractor, has run 100-mile ultras for years, and has never experienced the muscle recovery that he had with infusions. No soreness or muscle fatigue the next day - this is highly unusual. 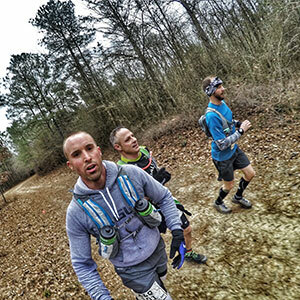 "I have run multiple Leadville 100-mile runs and many ultra marathons over the years. After receiving IV micronutrient infusions from Dr. Hewitt at the Zabrecky Institute, I had the quickest muscle recovery time ever, and was operating at 110% the following day. It was an amazing experience. I highly recommend it to all athletes. I could not believe my energy level!" 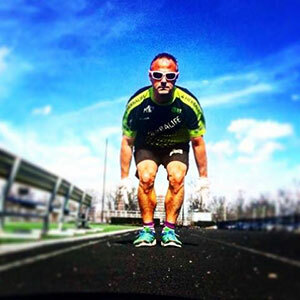 "My training schedule for ultra-marathons is grueling at times, but my muscle recovery time is nil with the IV micronutrient infusions from Zabrecky Institute. I also get the prolotherapy with dextrose solutions in tight IT band, tightened tendons, and these dextrose injections at the Zabrecky Institute have cured a 30% tear in my patellar tendon. 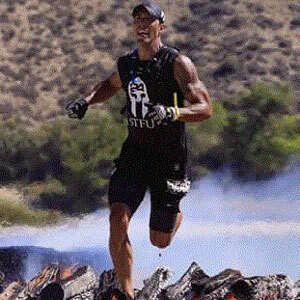 I want to continue to push my body for many years, and I feel certain that with the infusions and injections I am receiving at Zabrecky Institute, that I will enjoy a much longer life as an ultra athlete." 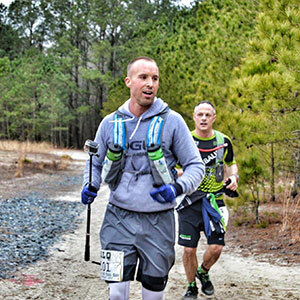 "As an ex-navy Seal, I have been through the most rigorous training program and continue to push myself in ultra events. The IV nutrition I received through Dr. Hewitt at the Zabrecky Institute gave me energy and quick muscle recovery. It is such a valuable whole body enhancer after the depletion of events that take everything out of you. It allows me to take less time off between events, shortening recovery time dramatically." Dr. Zabrecky saved my life, literally, after our very first appointment. I'd been hospitalized and no one else could figure out anything about me, yet he deduced from a very careful conversation that my blood brain barrier was damaged, then he proposed a treatment, AND IT WORKED. It was not until a decade later that the medical literature even caught up to what had happened to me. Since then, for 20 years, Dr. Zabrecky has, a million times, caused breakthroughs in medicine that no one, and I mean NO ONE, at all the major Boston medical centers, at all the alternative medical centers – has been able to do. I am beyond grateful that he is my doctor. I had taken my husband Tom, to Columbia Presbyterian Hospital as he was experiencing pains in his left arm while running. He loved to run, it was his, "Creative thinking time." He was told he needed by-pass surgery and must never run again. I was recommended to see Dr. George Zabrecky by another practitioner. George cured Tom's heart problems in about 3 months. Tom ran until he was 79 and died of kidney disease at 81.He never again experienced chest pain. George then looked at my blood work which was considered "normal," but in fact he found, through misshapen blood cells, that I had mercury toxicity due to having dental filings replaced, without appropriate chelation. Once George had corrected everything with chelation, IV's, and supplements, he also put me on bio identical hormones. I have now been on them for 37 years. No aches or pains in the joints, still fine on ladders, live alone and take care of everything myself at the age of 90. Dr. George Zabrecky really listens, figures out what tests you need and then educates you about your condition in laymans' terms. You feel you have a friend and partner who cares about you. He wants you to understand what is going on so you can work together to correct it. George is brilliant.